It is estimated that some 700,000 anti personel mines were planted by government forces and the LTTE in Sri Lanka. The use of antipersonnel mines has resulted in large areas of fertile agricultural land, urban areas, roads, water resources, and livestock in the northern and eastern parts of the country being seriously affected, particularly in Jaffna and the Vanni. Unfortunately, mines have been laid in some of the most heavily populated and most fertile areas. 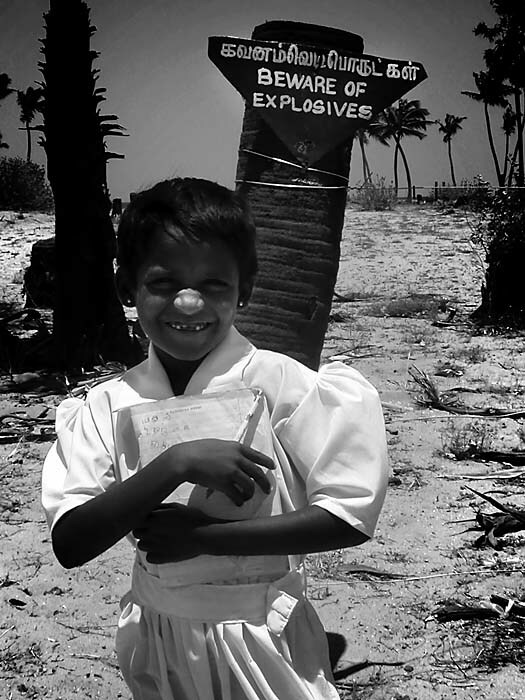 The LTTE has estimated that there are now two million antipersonnel landmines in the areas under LTTE control. In April 2001, the UN reported that antipersonnel mines were threatening the resettlement of displaced persons in LTTE-held areas. The problem is only rising in scale with the cease-fire in place. The anticipation of imminent movement of Internally Displaced Persons (IDPs) is creating serious concern regarding the need for mine clearance, minefield marking and mine risk education. Indeed, it has already been reported that thousands of displaced people are spontaneously returning home before mine clearance has occurred.